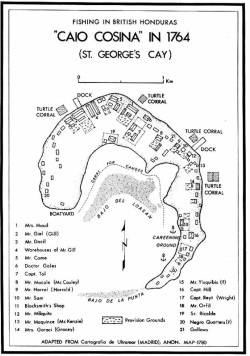 St. George's Caye was originally called Cayo Cosina or Casina. 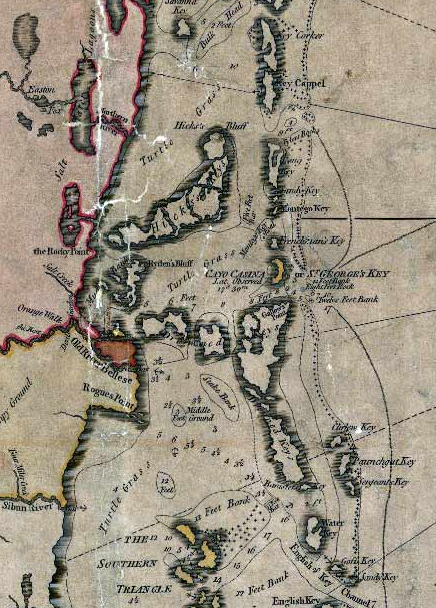 Maps from the 1700s refer to the island by these different names and historians have researched the origin and meaning of the names. 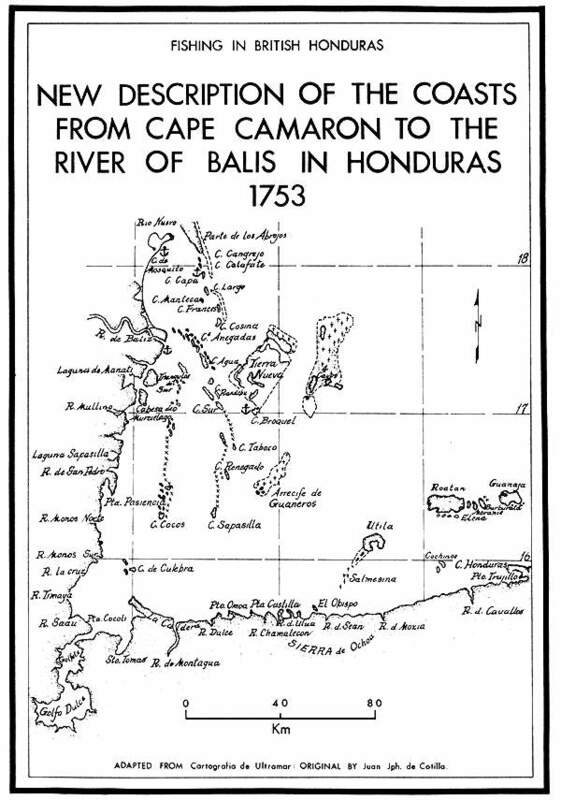 The origin of the name is almost as perplexing as the name Belize! 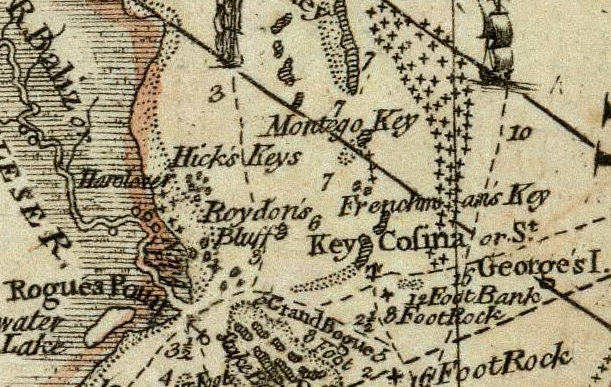 The following names appear on early maps of the area and can be reference to show the variation in the name of the island. 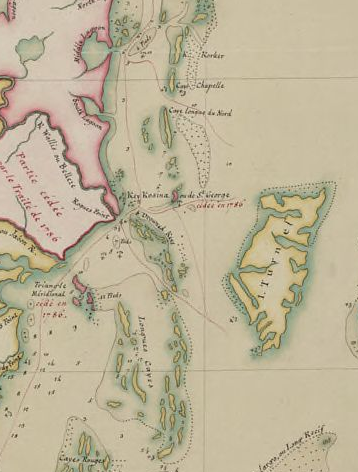 Casina is a Catalan word meaning premium while cosina is an Italian word meaning cottage, and cocina a Spanish word meaning kitchen, and a derivation also refers to a tea. Which version was it's real name? 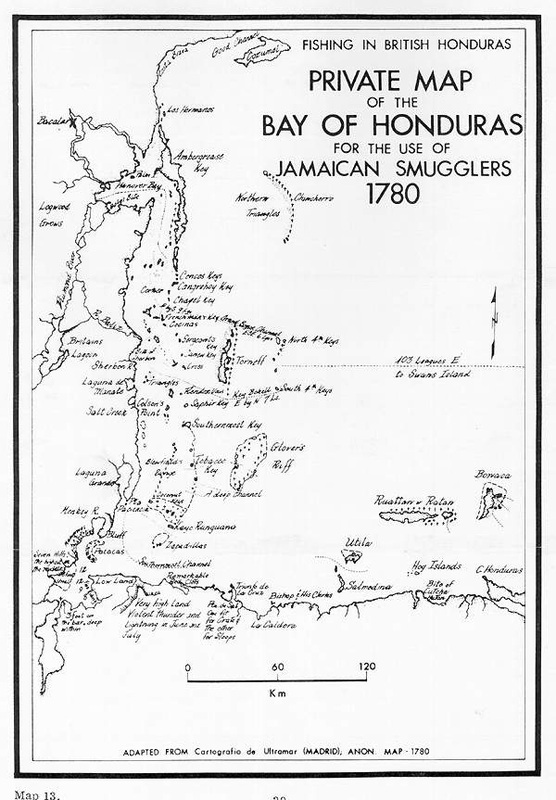 Could be anyone really since indeed the island was in a premium location, and there would have been small cottages on the island, and the buccaneers were known to cook turtle. Possibly the explorers from the different countries,like Spain, Italy and England, used the the name that had a meaning in their vocabulary, hence the reason for the variations. 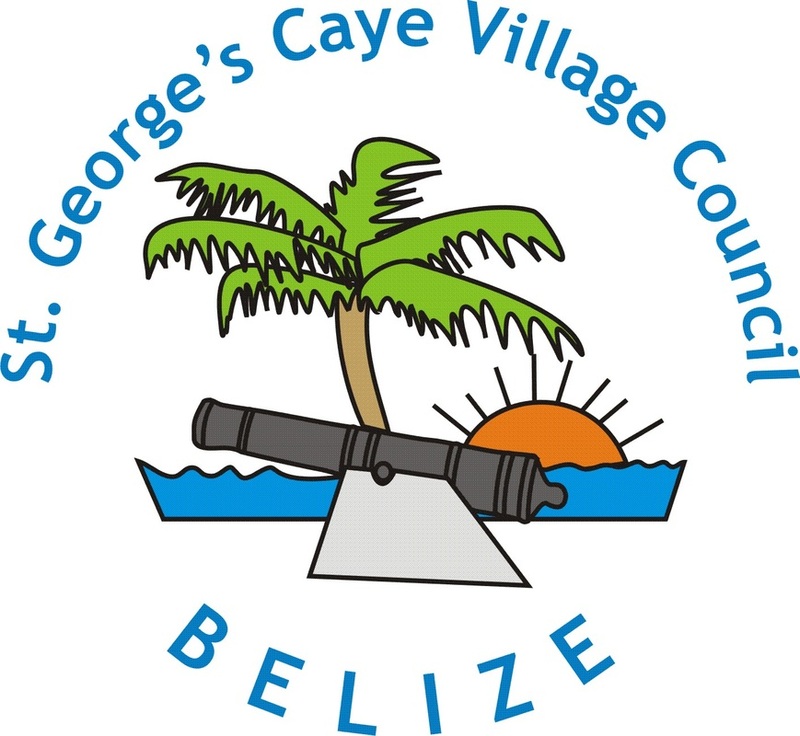 It was not until the early settlers on St George's were formulating their constitution between April 10, 1765 and May 5, 1766 that they renamed the island after England's patron saint to St George's Island (Campbell 2013) and later Caye. 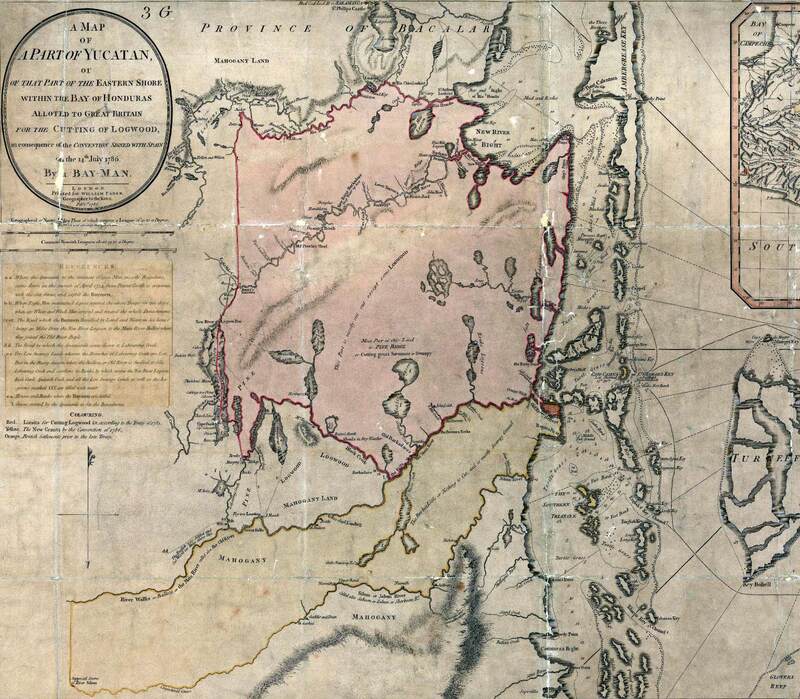 Caio Cosina in 1764 at the Cartografia de Ultramar ANON from 1780.